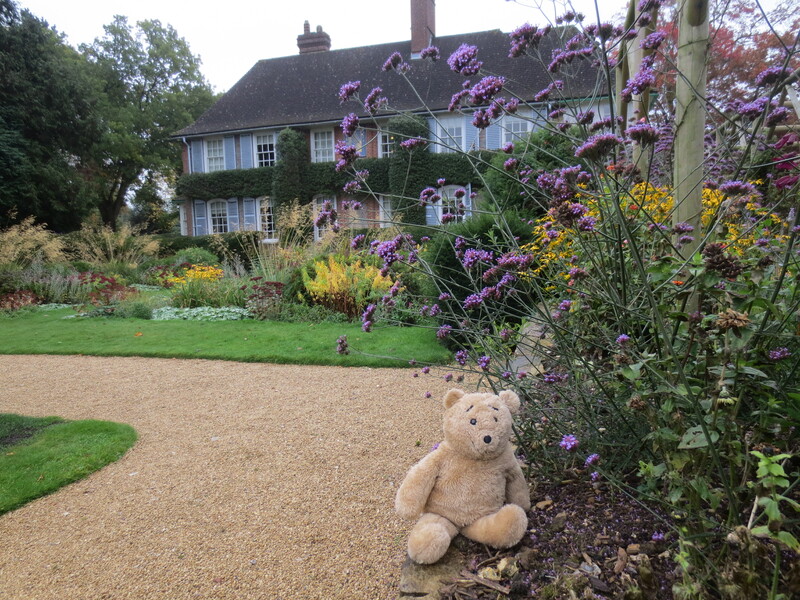 My humans took me away again last weekend and I was fortunate to be taken to visit Nuffield Place, which was the home of Lord & Lady Nuffield. Lord Nuffield was William Morris before he was given a title by King George. 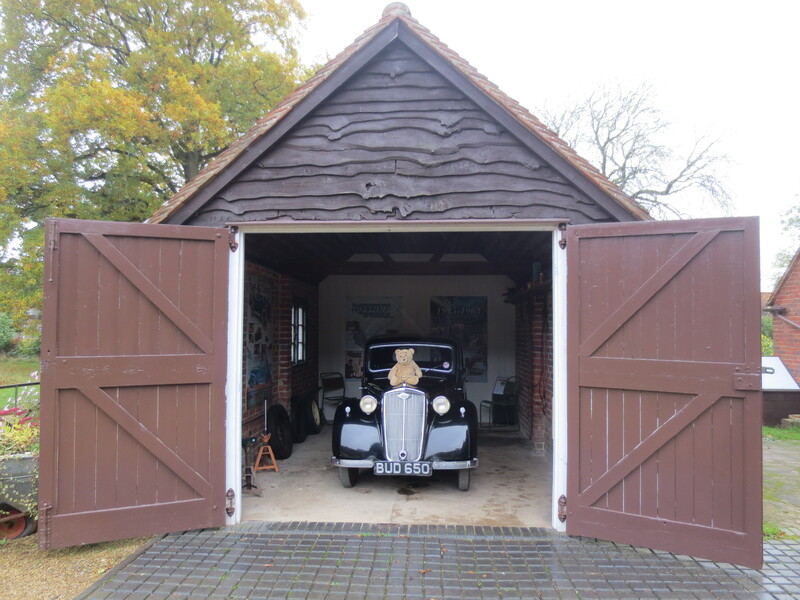 His company Morris Motors Ltd was the first British Company to mass produce cars, and he went on to become a multi-millionairre. I rather liked the car that belonged to his wife…. Although Lord Nuffield was very wealthy he did not live in an extravagant way and gave lots of his money away to good causes including the Red Cross and Medical Research and he set up the Nuffield Foundation. 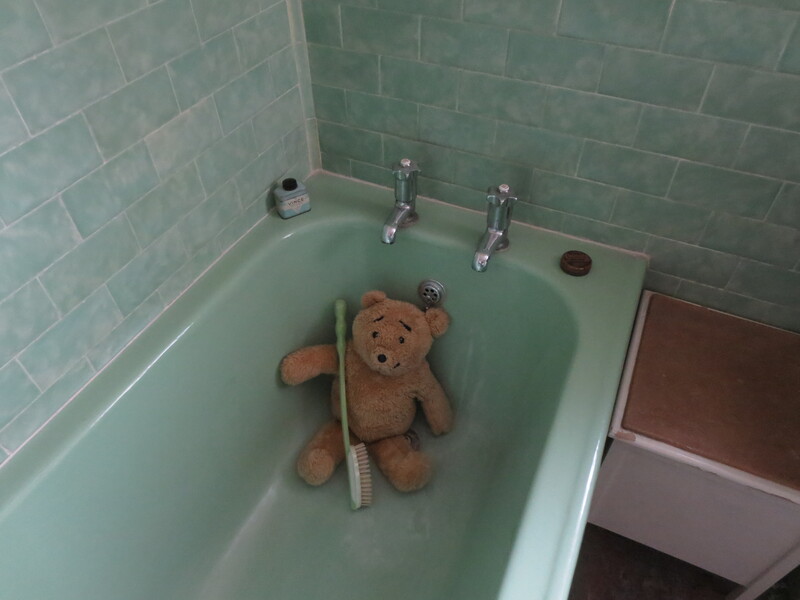 I rather liked his green bathroom, though I wasn’t allowed to fill it with water. 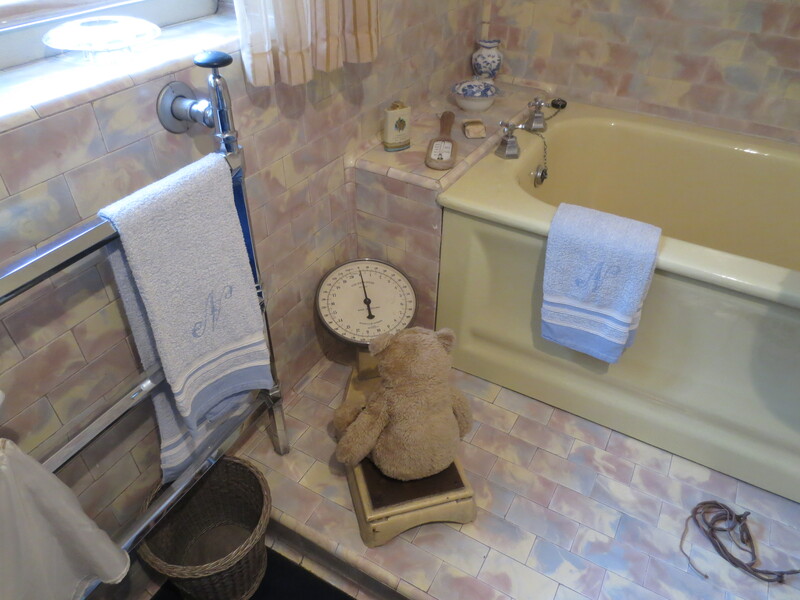 In the other bathroom I tried out the scales. I think I have been eating too many cakes. 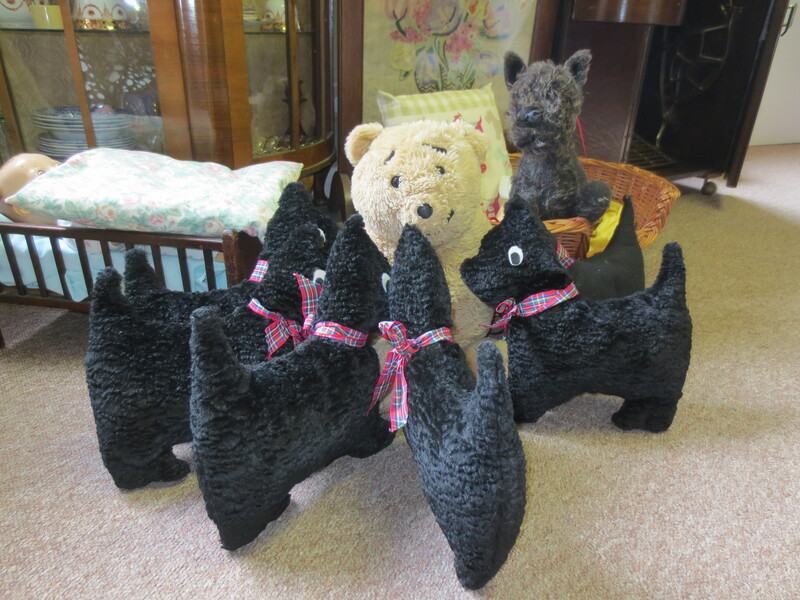 Lady Nuffield was very fond of scottie dogs. 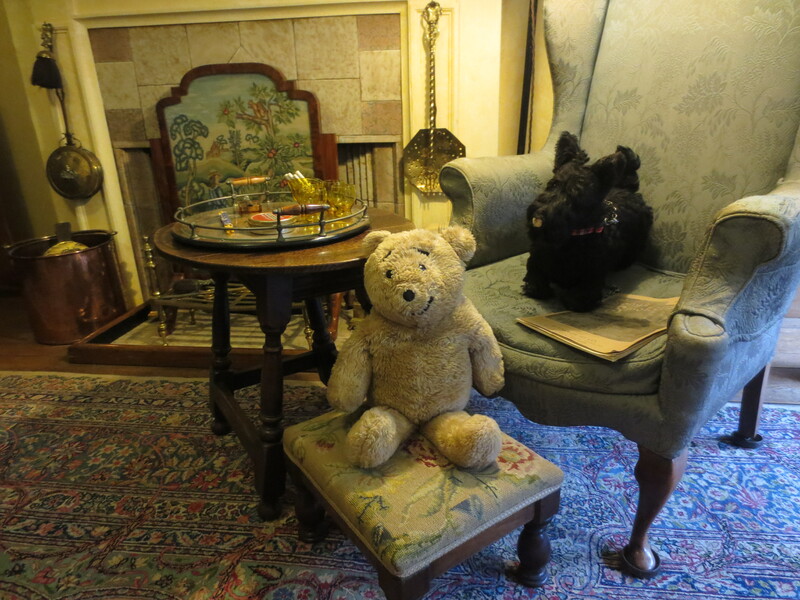 This one kept a very close eye on me while I had a rest on the footstool in the sitting room. There was a very interesting television set in a big box. 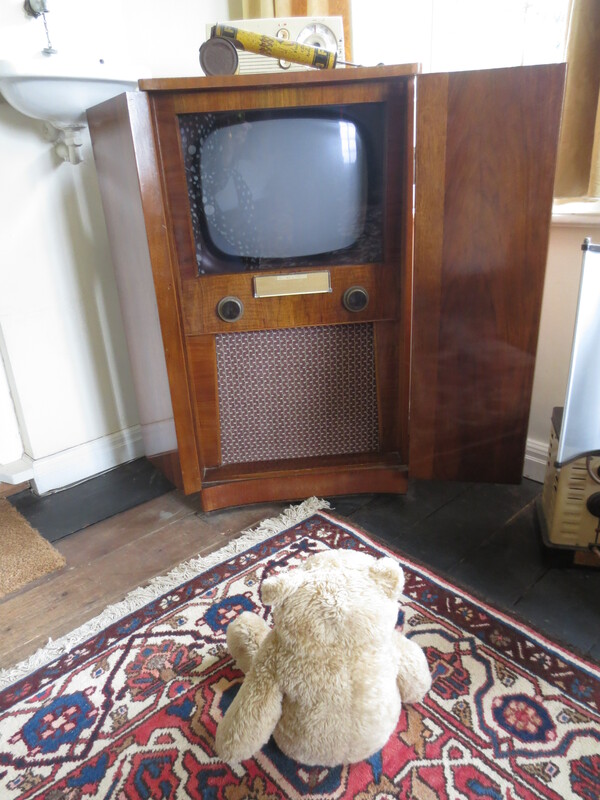 In the old days television was only available for part of the day, and there was only one channel, the BBC. It must have been much easier for people to decide what to watch then and they probably did lots of other more interesting things like going for walks or reading when the television didn’t work all the time. 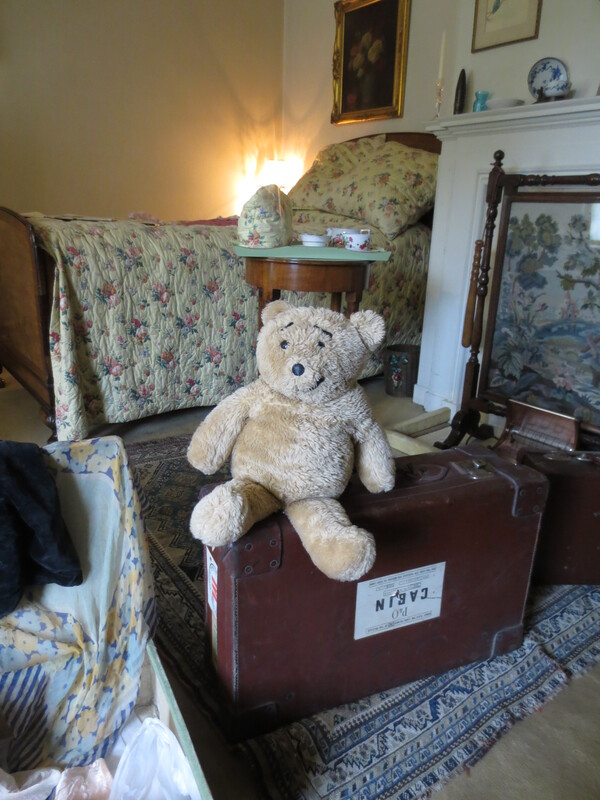 The bedrooms were all very cosy – though I wasn’t allowed to try out the beds. 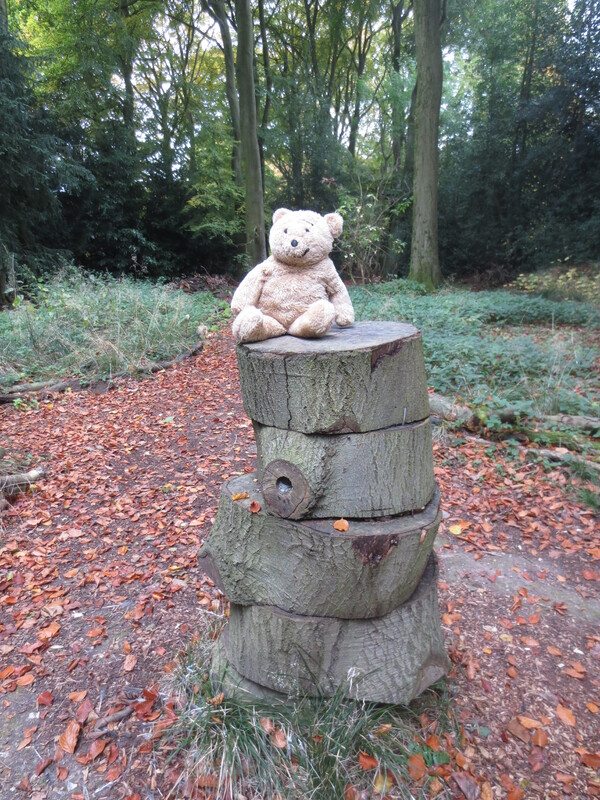 In the garden there were some woods, so a good place for bears… …and logs to climb on. Karen wished she had taken more photos but to start with she thought that it wasn’t allowed, but it turned out that only photographs taken with a flash are forbidden as the light can damage old things. It is a shame she didn’t get a photo of me with Lord Nuffield’s tool cupboard which was oddly in his bedroom! 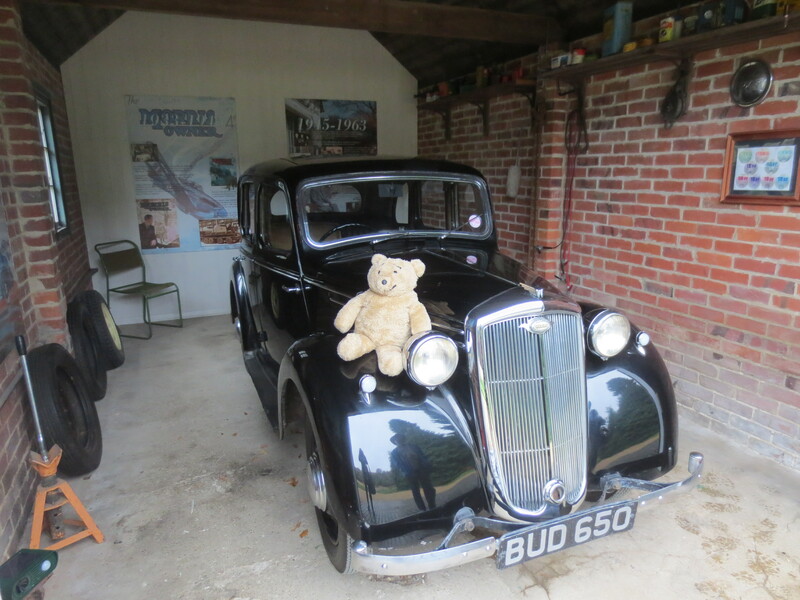 Here is one last photo of me modelling with Lady Nuffield’s car. 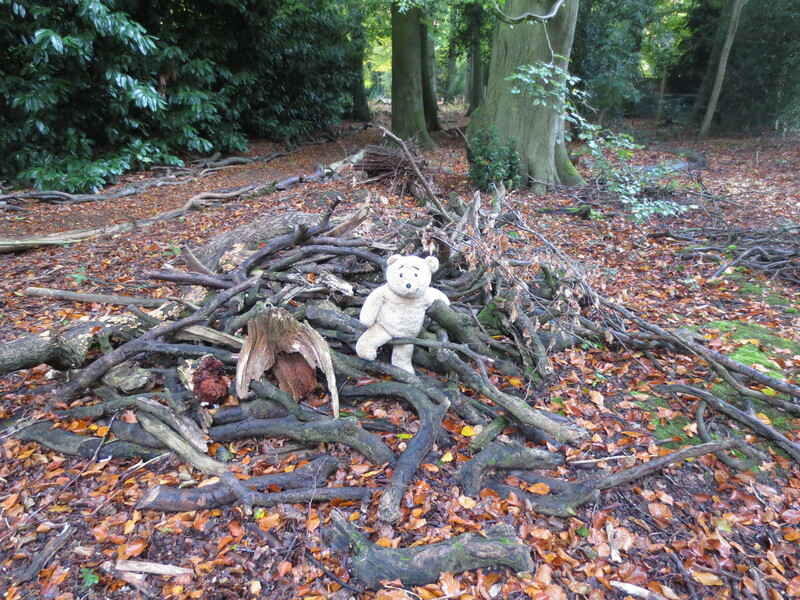 This entry was posted in Uncategorized and tagged alresford bear, nuffield, scottie dog, william morris by karenlovestodance. Bookmark the permalink.